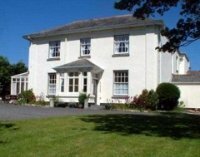 The Old Parsonage, a stylish Bed and Breakfast in the picturesque village of Boscastle on the North Cornwall coast. Our Georgian house is located in a quiet lane with flower strewn fields and The South West Coast Path literally on the doorstep. Boscastle harbour is a short walk away. Enjoy comfortable, relaxing and tranquil accommodation. 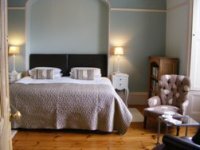 The five spacious rooms are all well proportioned with period features. They have been furnished in an eclectic style that blends the antique and the contemporary to give an uncluttered and harmonious feel. The en-suite bathrooms are luxurious.